There is no better time than the present to anoint another Independence Bank player of the week. Independence Bank is proud to sponsor a weekly article highlighting players in the areas where Independence Bank flourishes who embody the same type of revolutionary service to their respective football teams which has made Independence Bank unique and special in the banking industry. Independence Bank has a goal of achieving everyday excellence, and this week we are focusing on a player whose performance both has and continues to exceed both the Storm’s and the Hopkins County (Madisonville, KY) community’s expectations. We are focusing on the class of 2019, RB, Michael Powell, from Morton’s Gap, whose Hopkins Central High School is right down the road from 2 Independence Bank branches located on 629 East Center Street and 1776 North Main Street in Madisonville, Kentucky. 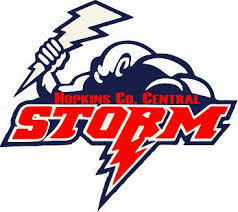 For several years now, it has seemed, when discussing Hopkins Central football, one was omnipresently discussing Cyrus and Silas Kington. That is understandable, as Silas had 15 tackles for loss (TFLs) in 2018, to go with his 10 QB sacks, and Cyrus tallied 8 TFLs in 2018 while forcing a couple of fumbles. The Storm weren’t exactly a two man team. While the team was winless in Class 4A, District 1, and 3-7 overall, sitting out the KHSAA football playoffs this year, there were some noteworthy performances out of players not named Kington. 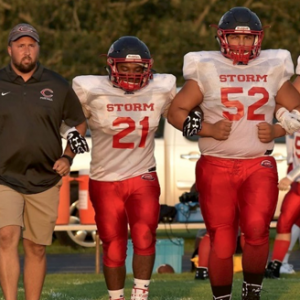 The Storm’s running/line-backer two-way player was one which caught coaches eyes dotting the Storm’s 2018 schedule. Michael Powell, a 5-7, 175 pounder was the team’s leading rusher. Powell gained 576 yards on the season, in 162 rushes. We concede that is a rather pedestrian 3.56 yards per attempt. One might do well to remember, however, the Storm, as a team, only gained 946 yards rushing on the year in 301 attempts for a average, per carry, of 3.14 yards. Powell, out of the backfield, caught 9 passes for 30 yards and scored 30 of the team’s 139 total points in 2018. Defensively, Powell was fifth on the team in tackles (40), third in TFLs (5.5), and registered a QB sack. The Storm called on its versatile senior to account for quite a bit of production in 2018 and Powell never failed to answer his football team’s call. Both KPGFootball and Independence Bank make it a practice to recognize such efforts in service to others whether it be on or off a football field. Congratulations to Michael Powell for his Revolutionary Play in 2018 which earned him this week’s recognition from the fastest growing bank in the Commonwealth of Kentucky…your friends at Independence Bank. This is Fletcher Long reporting for KPGFootball reminding you to PLAY THROUGH THE WHISTLE! 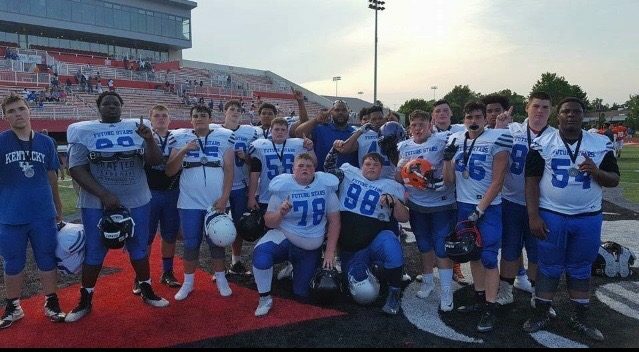 If you enjoyed this article and wish to gain full-access to the site, then subscribe monthly to Kentucky Prep Gridiron by following the prompts!